VANCOUVER -- A drop by up to 10 per cent on the estimated value of some homes in Metro Vancouver reflects a broad softening in a once hot market that is being affected by wider economic shifts, say two experts. "It's been a long time since we've had declining assessments," said Tsur Somerville, an associate professor at the University of British Columbia's Sauder School of Business. "It's softening across the board actually," he added. The agency estimates a property's market value on July 1 of each year and its physical condition on Oct. 31. 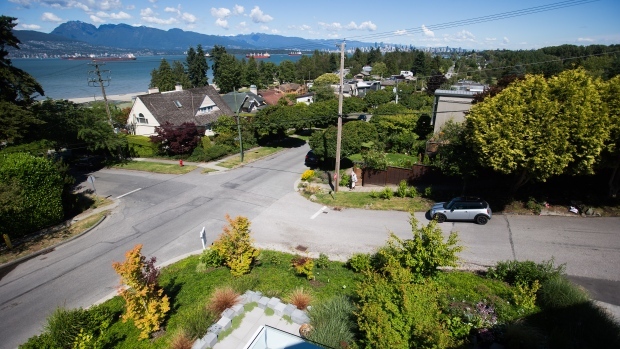 Assessor Tina Ireland said property values dipped on average "in the four per cent range" in Vancouver, Burnaby, the North Shore, Richmond and White Rock areas. But Surrey, Delta, Langley, Port Moody and Coquitlam saw increases of four to five per cent on an average. "It's a real mix in property value changes, but the market can best be summed up as showing signs of stability across most areas of the province," Ireland said in a news release. "Changes in property assessments really depend on where you live. For example, assessed values for detached single family homes in many areas of Metro Vancouver may see a softening in value, while other markets and areas of the province will see modest increases over last year's values." "It was like, OK, fine, you can't afford a single-family home. Fine, you'll move over to condos," he said. Yan said the impact of these changes will take time to determine but it is "arguably" what's behind the latest property values from BC Assessment. "The summary of these declines in single-family detached values is that we're far from mission accomplished nor have we achieved affordability in our time." Yan said the increase in commercial and industrial assessments is important because most businesses didn't see similar increases in revenue. "Now we're touching upon the issue of jobs and economic development," he said. "So what is the downstream implications for businesses in terms of commercial and industrial properties going up?"